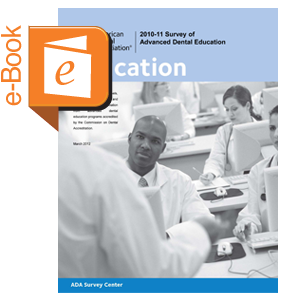 Provides information on the nine recognized dental specialty and four advanced general dentistry programs annually accredited by the Commission on Dental Accreditation. Features general demographic data, enrollment and graduate levels, application deadlines, and tuition and stipends. This is a downloadable report, which is also available free of charge at www.ada.org/edreports.